Anna's first visit to Carlton Heath in England was last May for the wedding of her cousin Ian to Miranda. The beautiful event ended with a dance under the stars and Anna receiving an unexpected kiss from Peter, the groomsman who caught her eye and now holds her heart. Now, at the invitation of family and friends, Anna is returning to Carlton Heath for Christmas. She has Peter's recent email to fill her with assurance that he's looking forward to seeing her again as well. More than his brief words, though, the vivid memory of their unforgettable kiss provides a promise of more to come. Anna, ever the imaginative artist, has been busy painting a romantic conclusion to her holiday visit. Certainly she's not the only one who has been dreaming of another dance and another kiss. But when she sees Peter again, his intentions seem to shift as speedily as the blustery winter weather. 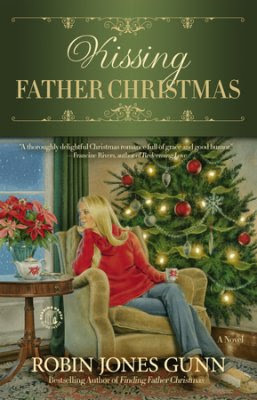 Is Anna's heart misleading her, or will Father Christmas bestow on her the gift of love for which she has long dreamed? Buy the book HERE. 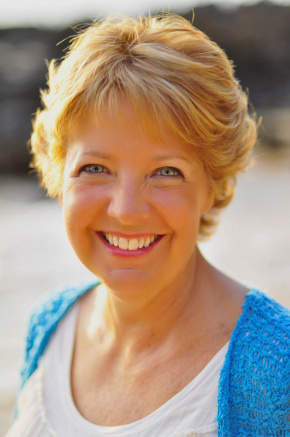 Robin Jones Gunn has written 82 books over the past 25 years, with almost 4.5 million copies sold worldwide. She received a Christy Award for her novel Sisterchicks in Gondolas, and speaks at events around the US and Canada as well as in South America, Africa, Europe, and Australia. Learn more about Robin and how her Father Christmas books became a Hallmark Original Christmas Movie HERE.